When you say “Yes, Lord” to your destiny, you coincidentally sign up for some great victories and some additional warfare. A decision to be part of the Kingdom and have an influence in your mountain comes with an anointing for persistence, work and warfare. In the Old Testament there is a clear emphasis on God fighting for His people. “The Lord of Hosts” appears 261 times in the Old Testament as a reference to the legion of angels, who are available to win any victory. That same flavor is not present in the New Testament. Jesus is seen interceding for us, but now God’s people are empowered to fight the battles themselves because He dwells in each one of us. He is still the Lord of Hosts, but we are part of His army now. The nature of warfare is that things go wrong. Opportunities are snatched away, relationships struggle or dissolve, and finances or health may be attacked. We cannot help but wonder if God is judging us. There is a very unhealthy stream in Christian circles that assumes the existence of some threshold that provokes God to switch teams and join the devil in trying to destroy us. It’s simply bad theology. However, we all have to admit that we’ve wondered if God isn’t the source of our suffering. Breakthroughs – Getting through a period of struggle requires faith that God is still fighting for us, plus this one thought: His Spirit is dwelling in our hearts and He’s clothed us with armor and given us a weapon. The message is that, in the Kingdom, we’re not waiting for God to fight our battles passively. We are fighting them in His strength and power. Here’s what that looks like. While I’m believing God for His miraculous intervention (which does happen), I’m knocking on every door, praying every prayer and trying every possible solution. Breakthroughs do not come to people who don’t believe they will come! Our very first priority is a heart belief that God has our back and we are bigger than our obstacle or enemy… without that confidence, we all give up. 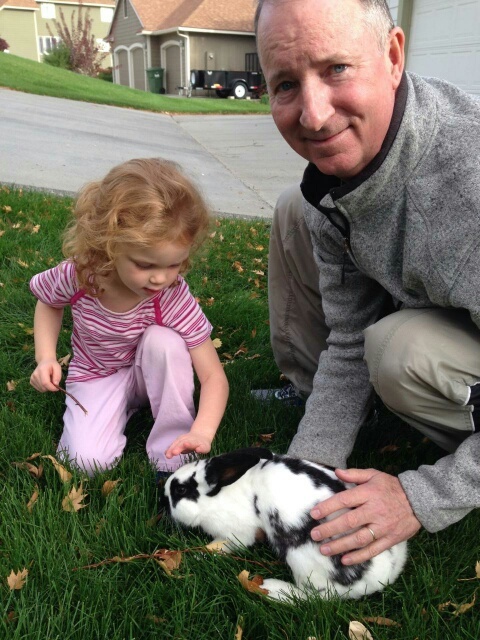 Confirmations – As I write this on a Saturday, we have been visited by a rabbit for the last three days. We’ve had workers in our house installing new carpet. They had the doors open on the first day and the rabbit invited himself into the front room. I assumed our new house guest was someone’s lost pet, and was surprised how gentle and friendly he was. Today Porsche, our granddaughter, was particularly fond of petting this new friend. He is usually found eating grass in the front yard or parked in some bushes planted in front of our house. Today the Lord spoke to my heart and asked me to consider what the rabbit meant as a sign. We’ve been through a great financial struggle the last 3 years. It’s been a season of dodging bankruptcy, working without vacations, being thankful to have a job, trying to develop other streams of income, and knocking on lots of doors… and releasing Kings. There have been times of wondering if we would survive. Our needs are met, the bills are paid, but we are believing God to restore time and ministry from a cup that overflows. 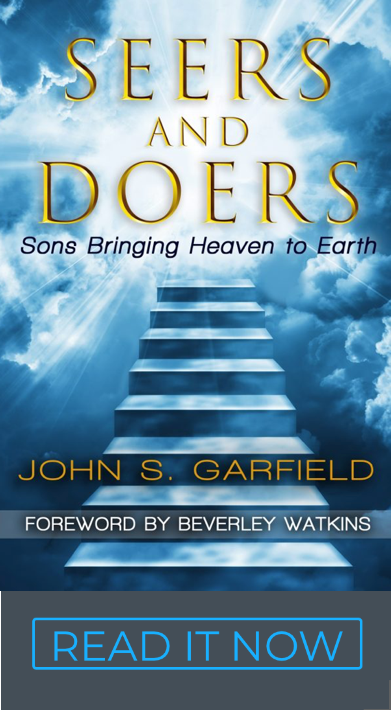 We need encouragement – Believing that God’s favor is on our lives to lead us into the desires of our heart is a Kingdom foundation that cannot reside in our heads. It has to be an experience that we receive from His presence and His voice. We have to expect God to send prophetic confirmations, rabbits, whatever. Your heart really needs those kinds of encouragements directly from the Lord. We are not prisoners of fate living on bread alone. We are more than conquerors who live by every prophetic word that comes from Jesus Himself. Set your heart on receiving yours. To be mighty in battle, we must be humble enough to admit that our hearts need this encouraging confirmation from God. Ask for it.